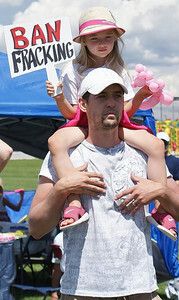 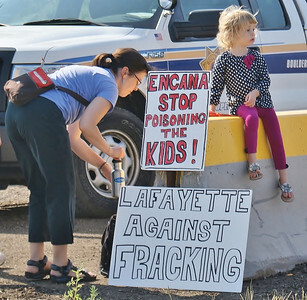 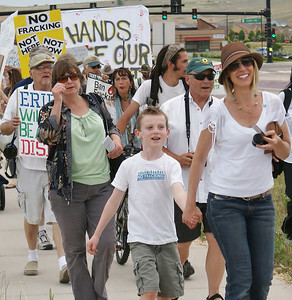 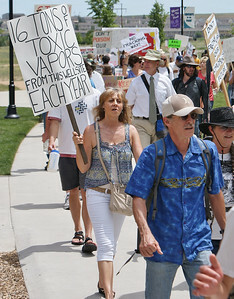 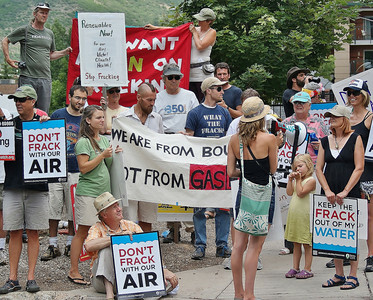 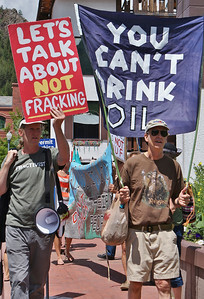 Images from anti-fracking rallies, demonstrations, marches and protests from around Colorado, including the cities of Boulder, Longmont, Erie, Denver, Lafayette and Aspen. 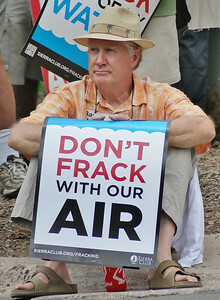 Man in straw hate with "Don't Frack With Our Air" sign, sitting on curb. 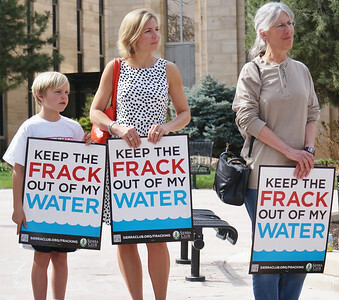 Young man and woman hold signs aboput fracking and water safety at protest, protester behind them with bullhorn, another with ban fracking banner. 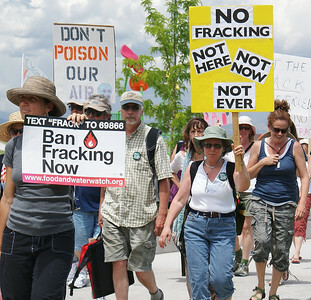 Large group of anti fracking protesters with many signs. 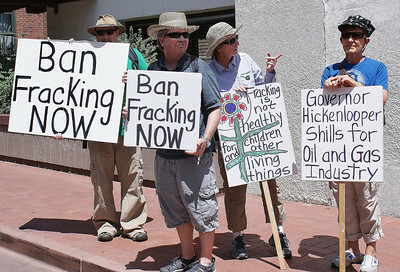 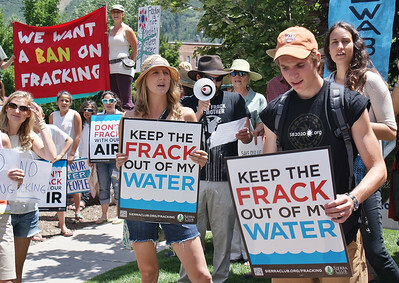 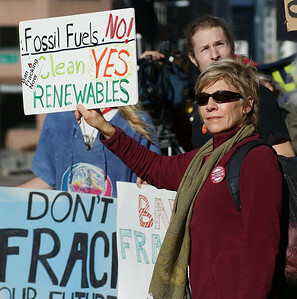 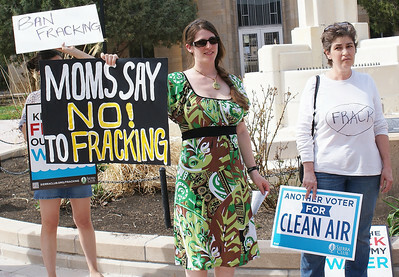 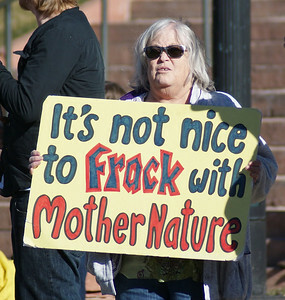 Anti fracking protesters holding signs and large banner at demonstration. 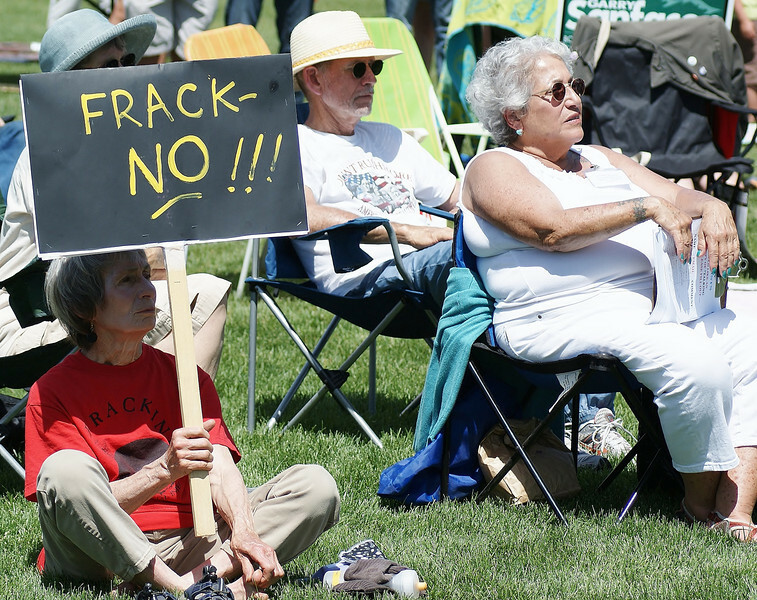 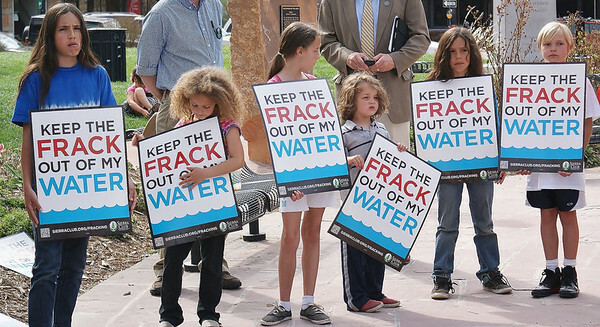 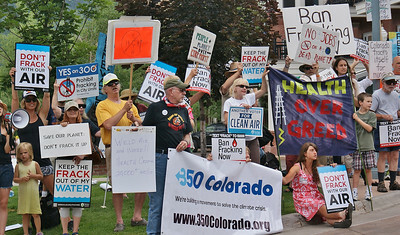 Protesters with anti fracking signs, one directed at Colorado Governor Hickenlooper. 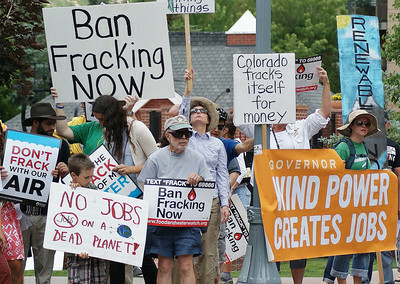 Anti fracking protesters with signs and banners including one about wind power and jobs. 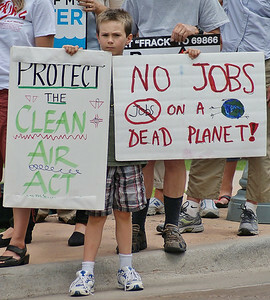 Young boy holds sign "No Jobs On Dead Planet", at fracking demonstration. 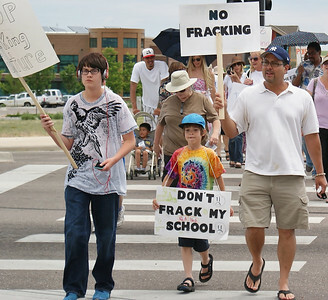 Young woman with bullhorn speakes to large group of anti fracking protester, many holding signs. 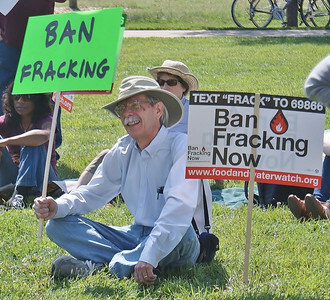 Man sitting on lawn with anti-fracking sign. 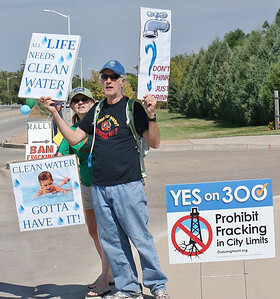 Man and woman standing by side of road with signs supporting anti-fracking ballot initiative.